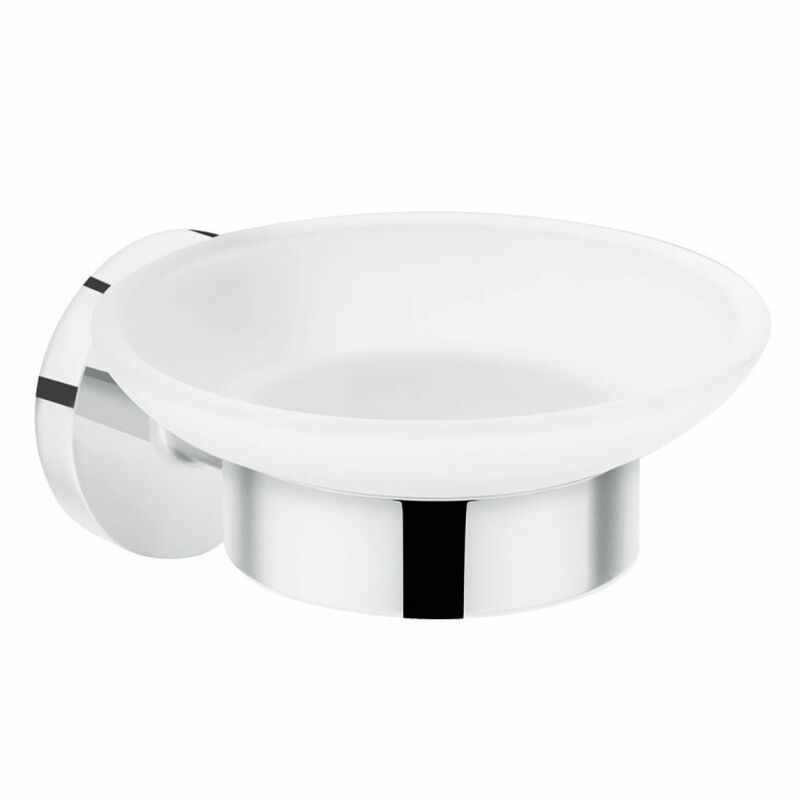 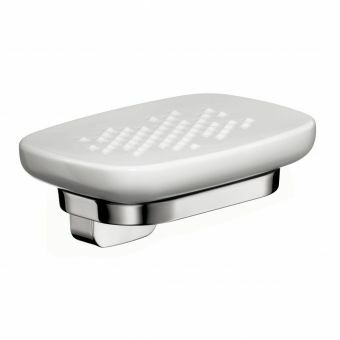 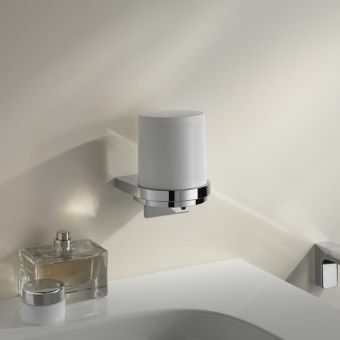 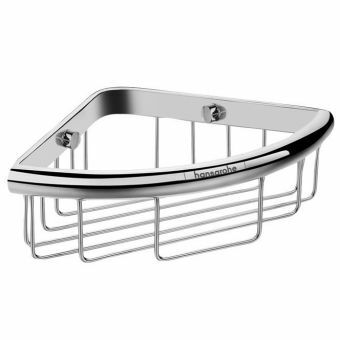 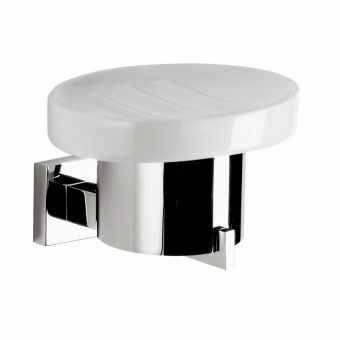 This wall mounted soap dish from German manufacturer Hansgrohe is a high-quality and reliable bathroom accessory that will last for years to come. 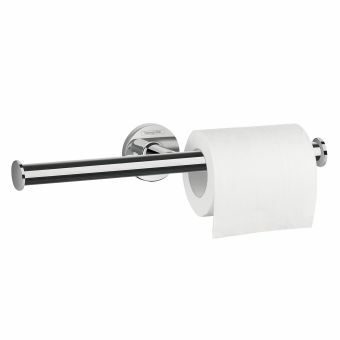 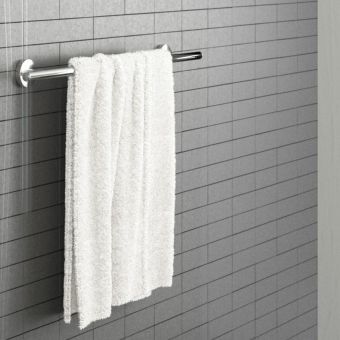 Timeless in style, it is easily mixed and matched with other accessories and a wide range of bathroom interior design layouts and styles. 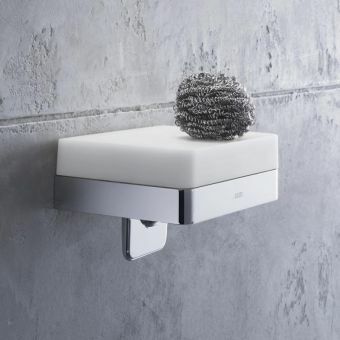 A handy little piece, this soap dish will hold your hand soaps or other toiletries with ease, mounted on the wall it will keep items out of the way and away from your countertops and worktops. 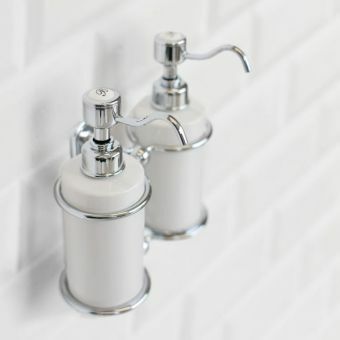 Freeing up space is an essential form of decluttering and will help your bathroom look neater and cleaner overall. 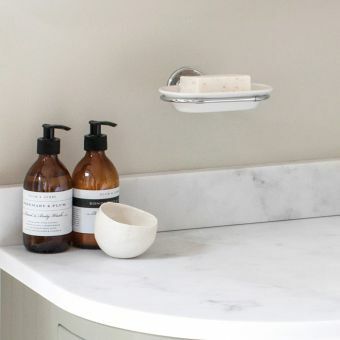 Soap scum can be a pain to clean from surfaces and worktops, so wall mounting your soap dish is a great way to alleviate this headache, keeping your soaps up high on the wall out of the way. 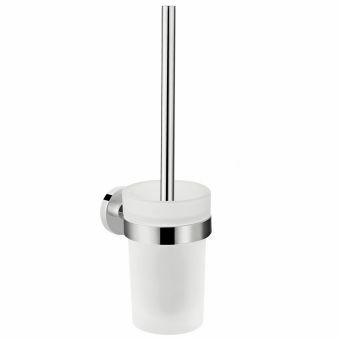 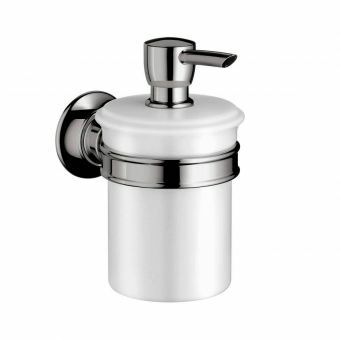 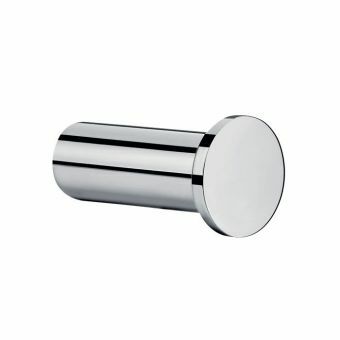 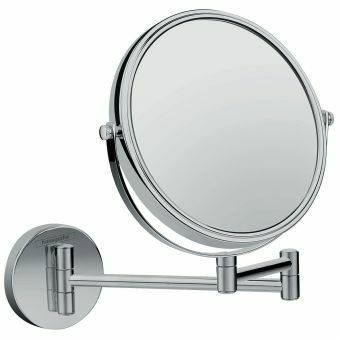 The metal frame is solid brass, the plating is high shine polished chrome. 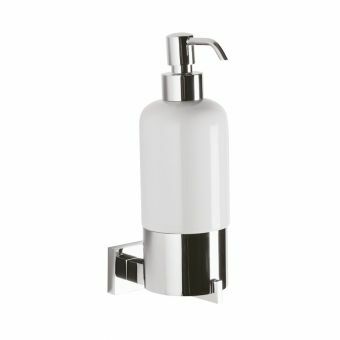 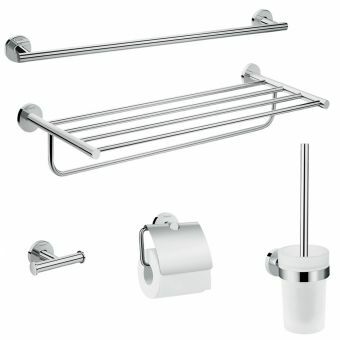 Hansgrohe have a fantastic reputation and their chrome plating is to a very high standard. 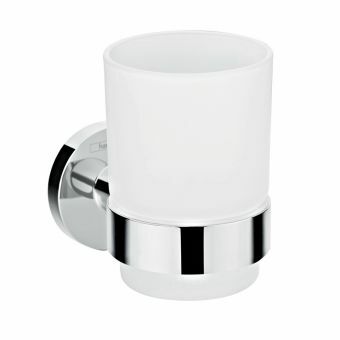 The glass is quality, with a solid heavy weight quality feel.